Boone County Coroner Douglas M. Stith has resigned the office effective immediately. He was elected Coroner of Boone County in 1998 after serving 15 years as Deputy Coroner under his father, Coroner Donald W. Stith. 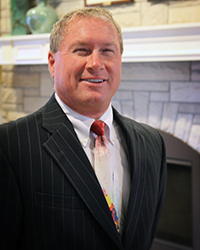 Stith was raised in Florence, a graduate of Boone County High School, Cincinnati College of Mortuary Science and the Kentucky Department of Criminal Justice Training at Eastern Kentucky University. Judge/Executive Gary W. Moore has appointed Elizabeth Rittinger as Boone County Coroner effective today to fill the remainder of the unexpired term. Rittinger has served as Deputy Coroner for Boone County since 2011 and is a Registered Nurse for the St. Elizabeth Healthcare Emergency Department. She holds degrees from Northern Kentucky University and the University of Phoenix and is a Certified Death Investigator. She has earned a certification in forensic nursing and is licensed by the Kentucky Board of Nursing as a Sexual Assault Nurse Examiner.